1. 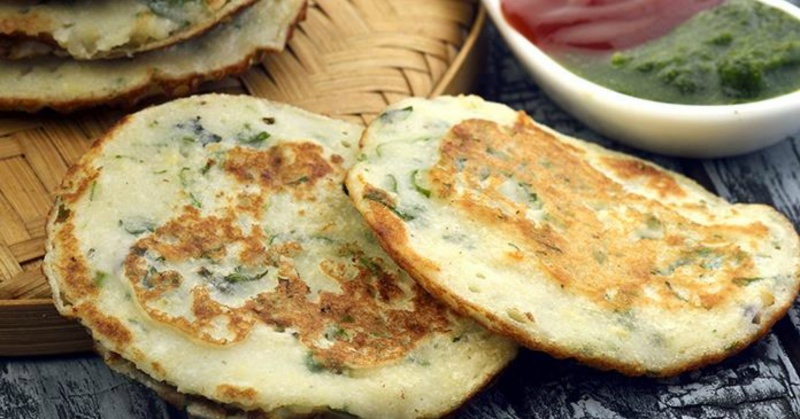 Combine the rice flour, urad dal flour and soy flour along with 1½ cups of water and mix well to make a thin batter. 2. Add the cucumber, coriander, green chillies and salt and mix well. 3. Just before cooking add the fruit salt and mix gently. 4. Grease a non-stick mini uttapa pan with a little oil, pour approximately 1½ tbsp of the batter into each mould and spread it lightly. 5. Cook them using a little oil, till they turn crisp and golden brown in colour from both the sides.